Bee blocks and exciting news! Hello friends! It has been far too long since I posted here, but there is a good reason... Lawson and I are expecting a baby girl in March! My pregnancy has been going smoothly, but I was just completely wiped out for most of the summer. I have been feeling much better for the past couple months, but have been putting a lot of my energy into getting our house set up, getting ready for the baby, cooking, and working on various craft projects. But I miss blogging and really want to get back in the habit! So I'm planning to do some catch up posts over the coming weeks to share some of the projects that I have been working on these past several months. As a start, here are the bee blocks that I have made since July (!) for my do.good stitches bee circle, the love circle. I have really enjoyed participating in this bee for the past year and a half, and have been so inspired by the block choices each month, and by seeing the work of my other bee members, but I decided that it made sense for me to step down to focus on getting ready for baby. So these are my last bee blocks for now - although I hope to have time to participate in a bee again in the future as it has been such a great experience! I love the design that these converging corners blocks make when all put together (and I love the nautical colors that Deb chose!) 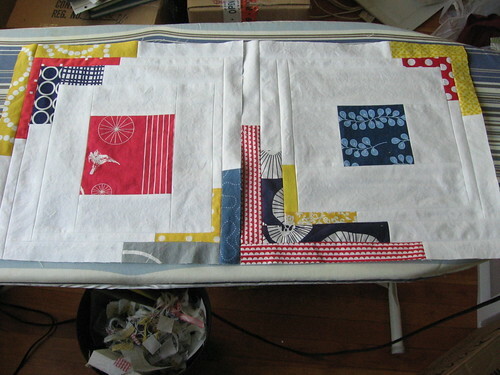 - see the finished quilt over on Deb's blog. 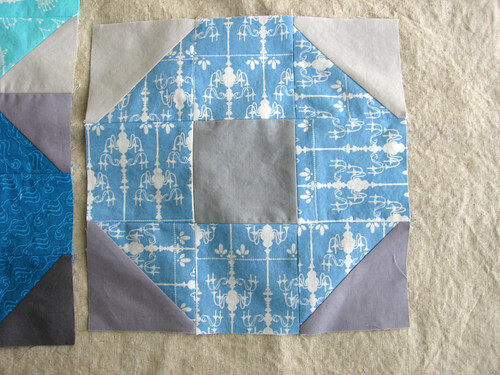 These + and x blocks for Ara Jane were so fun to put together - I definitely spent as much time picking out which scraps to use as I did actually sewing them. And the finished quilt is a stunner! I love Natalie's tutorial for wonky pinwheels - the blocks are quick to make and the pattern they make is so fun! I always love the color palettes Natalie picks out and this one was no exception - check out the assembled quilt top, doesn't it just feel like fall? 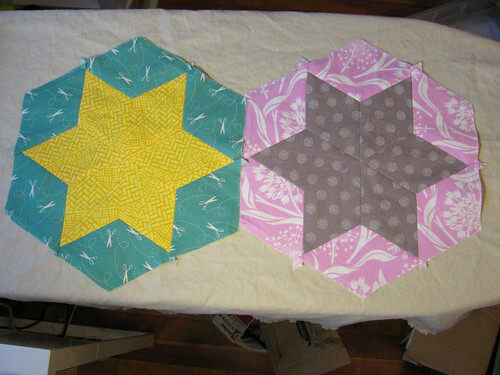 I had been meaning to try English Paper Piecing so it was fun to make these 6-pointed star blocks for Rachel. 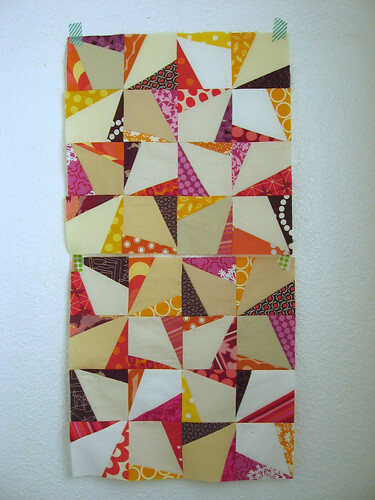 I love the color palette she choose and can't wait to see the assembled quilt top! 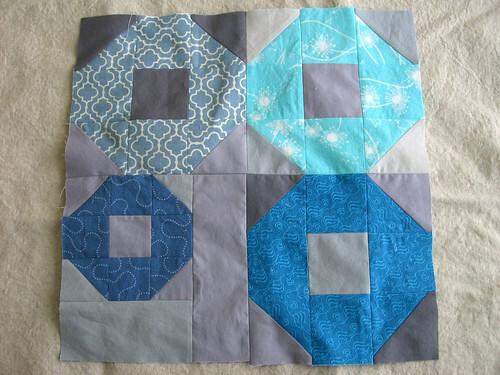 Some of my favorite bee blocks have been the ones where the quilter asked us to improvise off a theme (like the Asterisk blocks for Lee), so I was excited when Jacey asked us to make blocks based on a Shoo Fly but to have fun with them! 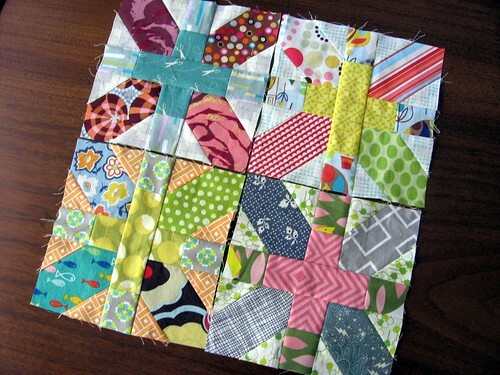 I can't wait to see how the quilt comes together with all the different sizes and variations that folks made. Thanks again to all my fellow love circle members! It has been so fun sewing together with you.